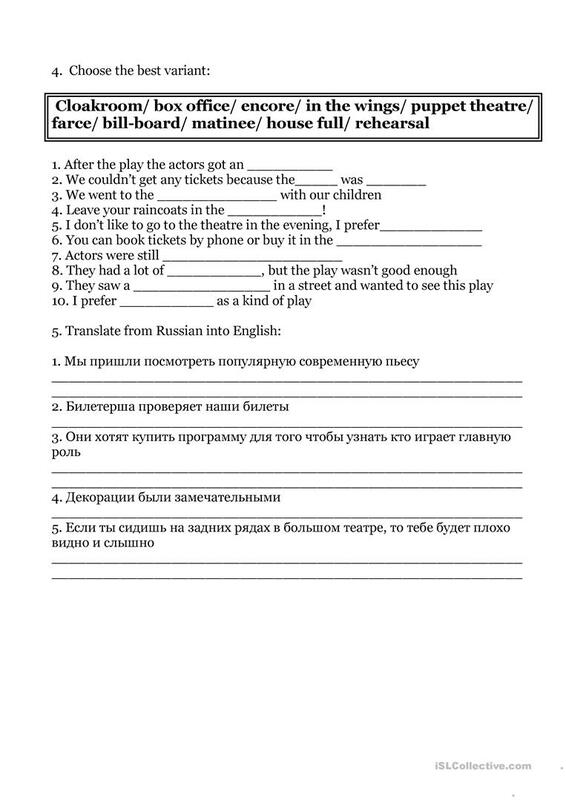 Vocabulary test on theatre includes 5 exercises. Answering questions, naming pictures, choosing best variant and translation. 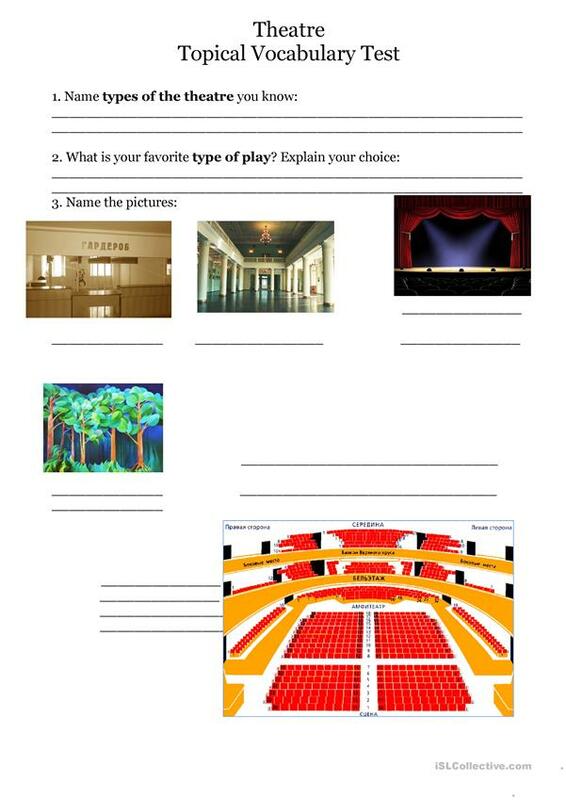 The present downloadable worksheet is a great resource for high school students, elementary school students and adults at Pre-intermediate (A2), Intermediate (B1) and Upper-intermediate (B2) level. It is valuable for revising Word classes in English, and is excellent for improving your students' Writing skills. It is about the theme of Culture, intercultural communication, cross-cultural communication.